What types of DST Properties are available? Which type of DST investment is the best fit for me? What should an investor expect to find when looking at DST properties? The truth is, the DST market is changing everyday. That being said, this is a list of DST property types that you will likely find in the market. Some are consistently available, whereas others are only available occasionally. Some of these DST properties fit into more than one category; for instance, there may be a portfolio of net lease retail buildings or a zero coupon office deal. Regardless of what you’re looking for, our advisors can help you navigate the ins and outs and ultimately find the best solution for you. Apartments, also known as multi-family, are the number one choice for DST buyers and represent about 50% of all DSTs being offered. They are generally viewed as lower risk than most property types, but are usually on the bottom end for cash flow. There is normally a broad selection ranging from newly built class A apartments to class B apartments in need of some improvements, providing a “value add” component to increase potential upside. Net lease DSTs, also labeled as Triple Net or NNN, are generally single tenant buildings with long-term leases. These typically provide the most consistent cash flow and are desired in down markets, but they provide little, if any growth potential. These are a great fit for those looking for security of yield. The tenants are nationally known and are often credit-rated: Walgreens, CVS, AutoZone, Dollar Tree, Fresenius, and Tractor Supply are a few examples of what you are likely to see. Medical office buildings have been a consistent part of the DST market for over 10 years. Tenants often include hospitals, doctors offices, plasma centers and dialysis facilities. With the amount of improvements made to these types of buildings, medical offices generally see less tenant turnover. Industrial properties come in many different shapes and sizes. With large open spaces, they can be utilized by many different tenants. Most industrial properties have few tenants and low turnover. With the rise of internet shopping, the need for industrial properties has rising over the past 5 years and thus, these have become increasingly popular. Hospitality DSTs are starting to see a come back after their peak before the previous recession. Most hospitality DSTs focus on the business traveler and are under the Hilton or Marriott flags. These DSTs are viewed as more risky than Net Lease and Apartment DSTs so they will cash flow at a higher rate. Since hotels are only leased for a day at a time they react quickly to declining or improving markets. The variety of Office DSTs has changed greatly over the past 15 years. Once dominated by multi-tenant buildings, the current DSTs are predominantly single tenant buildings. Most office DSTs are the corporate headquarters or an essential property to the tenants. This has resulted in lower cash flows but has created more stability in the properties. Assisted Living DSTs offer several of the same benefits to investors that multi-family properties do even though they carry additional risk. Due to the amount of care needed in these types of facilities, rents generally range from $3,000 to $5,000 a bed. The DST market also has some lower cost, lower care senior living facilities and higher cost, higher care memory care facilities. With 10,000 baby boomers hitting 65 every year, long-term demand is expected to rise over the next decade. Portfolio DSTs could be a great way to diversify. Apartments, Medical Office and Net Lease are often found packaged with 2 to 20 different properties. These can be spread out over different states or with the same or multiple tenants. Self Storage DSTs are desired for several reasons. These properties perform well in recessions and have little to no releasing costs. Although the demand for these types of DSTs is high, availability is limited. Much like apartments, the high demand for properties viewed as lower risk, drives prices and results in lower cash-on-cash returns. Even with the rise of internet shopping, retail properties continue to perform well. Most retail DSTs are either one property or a portfolio of single tenant buildings or large “power center” properties with anchors such as Kohls, PetSmart, and Target and a variety of smaller national and local retailers connected between them. Low cost and recession resistant tenants are in the most demand. 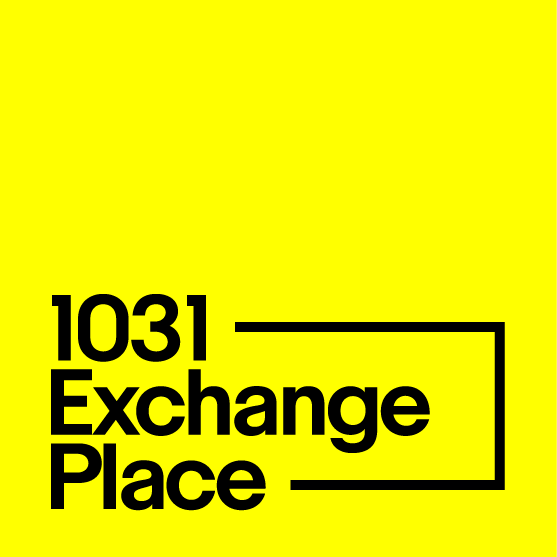 Oil and Gas royalty programs qualify for 1031 exchanges. These differ greatly from oil and gas drilling programs. Royalty programs receive a set percentage of any oil and gas that is collected in a defined area. They have no risk in the drilling, but also have no control of the drillers. Zero Coupon DSTs are designed for one thing – to get as much debt in an exchange as possible. Leverage will be near or slightly exceeding 80%. They do not have any cash flow, but are structured to pay down the debt of the property over a set schedule. Long-term leases with credit rated companies are standard. They are commonly used by exchangors in combination with other investments. Many exchangors will invest enough cash into zero coupon to meet exchange debt-replacement requirements, then put the balance in debt-free deals. The benefit to this strategy is diversification, debt reduction, and cash flow all in one exchange.